There’s a lot more to buying a unicycle than just wanting one. Color may be an easy decision, but what about wheel size, saddle, and seat post height, and the other choices that go into finding the perfect unicycle? Our Resource Center is here to help! Whether you're a novice or pro, we make buying and learning about Unicycles easy! How I went from riding a unicycle to really cruising on a Nimbus 36" unicycle! I started mountain unicycling about 10 years ago, but more recently I discovered that I really enjoyed long distance unicycling. Never did I think I was ever going to have a passion to unicycle and be involved in it so much. It gives me a reason to be active. 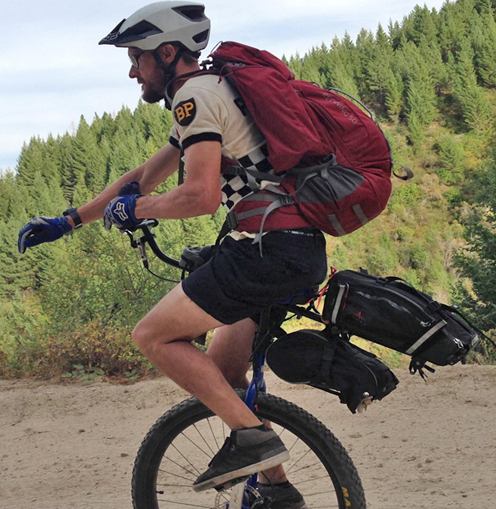 It gives me a reason to travel and meet more unicyclists. After learning how to unicycle in February 2017 on a friend's trials unicycle, I became totally engrossed with all things unicycling. We know the effects of not getting enough water while riding in hot temperatures. What would happen if you drank too much water? Believe it or not hydration can actually be harmful. What size unicycle should I Purchase? To check whether you are tall enough or need a longer seatpost. Here is a rough guide. You will find exact sizes in the item description, remember these sizes are from your crotch to the floor with your shoes on, not your pants length. What crank length should be on which unicycle? This is not an easy question, it depends what you want to do with your unicycle. All the unicycles are sold with standard length cranks but you can upgrade your unicycle with different size cranks. Chat with a Unicycle expert!